Charcot-Marie-Tooth disease. 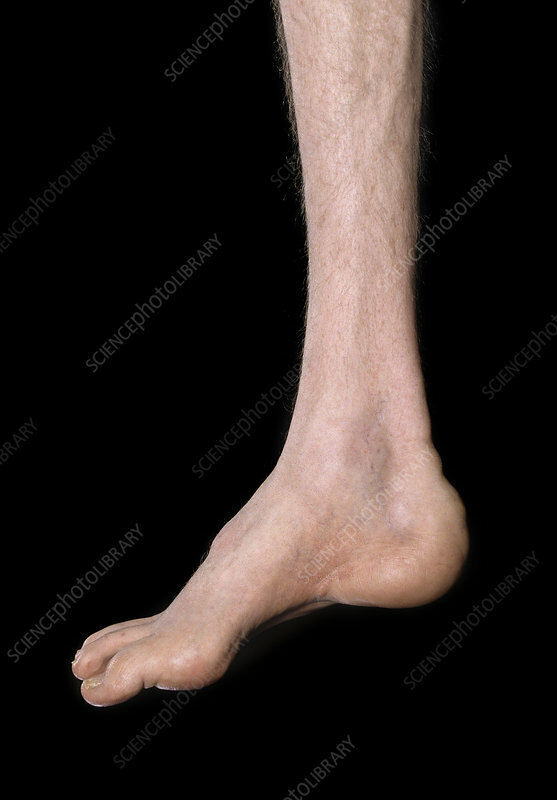 Arched foot (pes cavus) with muscle wasting in a man with Charcot-Marie-Tooth (CMT) disease. This inherited form of muscular dystrophy affects the peripheral nervous system and muscle tissue and touch sensation in different parts of the body is progressively lost.